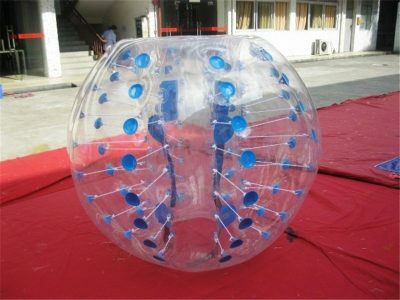 Bumper ball, also known as bubble ball, knockerball, loopy ball and body zorb ball, is a bouncy plastic orb which covers human’s upper body part, and people can use it for playing bubble soccer. 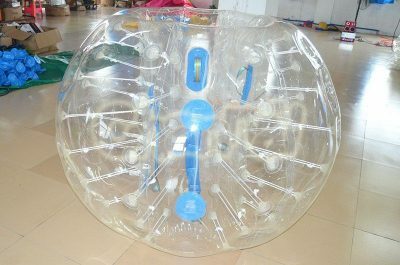 Bubble soccer, also known as bubble football, zorb football, bumper ball soccer, bubble bump football and body zorbing, is a football sport that players wear bumper balls. 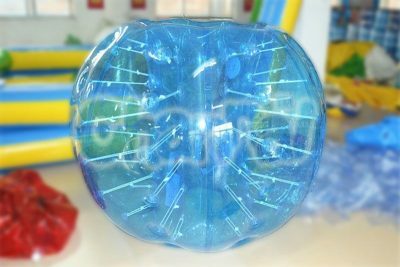 You can play more games with bubble balls, like bubble bowling and bubble sumo. 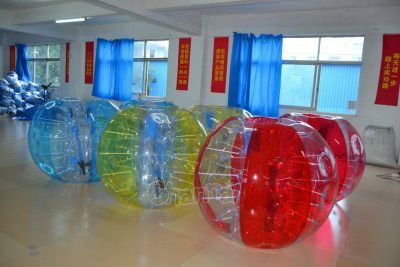 Be it outdoor grass playground or indoor pitch, birthday party or event, inflatable bumper ball is the right choice both for adults and kids. 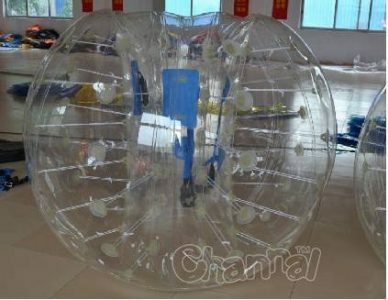 Channal Inflatables is a professional bubble ball manufacturer in China. 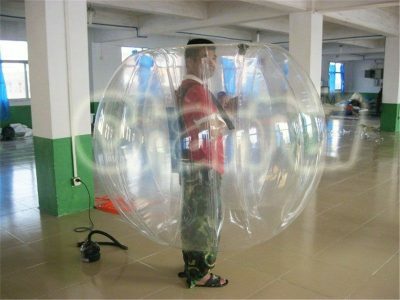 We have the best quality bubble balls for sale at a lower cost, wholesale will get more discounts. Contact us for more information you need now by submitting quote cart.